Does Better Breast Imaging Lead to Improved Outcomes or Increased Overdiagnosis? The use of DBT appears to be associated with an increased cancer detection rate. Highly sensitive digital breast tomosynthesis (DBT), also called 3-dimensional mammography, breast screening equipment has been rapidly adopted by mammography centers across the United States in recent years. DBT appears to be associated with an increased detection rate for preclinical breast neoplasms but adoption by imaging centers has outpaced the evidence base for this modality’s utility as a screening tool. 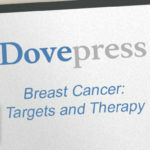 The US Preventive Services Task Force (USPSTF) has concluded that the evidence base is too small to assess its value as a primary breast screening modality, and critics voice concern that its widespread use could contribute to the overdiagnosis and overtreatment of low-risk neoplasms. DBT might prove to offer more accurate detection of early-stage malignancies and differentiation from benign neoplasms. Most DBT-detected breast cancers not detected using FFDM exhibited spiculated or indistinct margins, for example.1Spiculation is a feature of low-grade (grades 1 and 2) invasive breast malignancies that is not commonly seen in higher-grade tumors.1Spiculation is also more frequently noted in early-stage malignant neoplasms than benign growths (81% vs 11%, respectively, according to one 2010 study).10But spiculated benign neoplasms and early-stage tumors that might never progress to imperil the patient are also likely to be detected. Close more info about Does Better Breast Imaging Lead to Improved Outcomes or Increased Overdiagnosis?